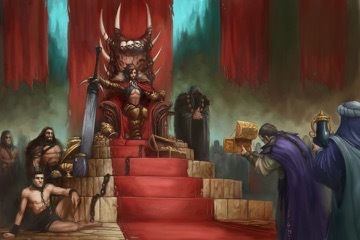 For a Pathfinder Battles set called "Kingmaker", we certainly haven't seen much in the way of kings, now have we? Well, this week's preview should address that oversight. First, we have the Stag Lord, a Medium uncommon figure, who is in charge of the Stolen Lands when the PCs first arrive to settle the region. A sadistic and cruel bandit king, the Stag Lord is the first major threat the Kingmakers must defeat before they can establish their own barony in the River Kingdoms. Humans aren't the only civilized creatures in the AP who have hierarchies and rulers, however, and goblins, lizardfolk, kobolds, and mites all have their own kings, queens, and chieftains the PCs must interact with. Heck, even giants have their own rulers, such as the Frost Giant Jarl, a Large rare figure perfect for recreating Amiri's origin story. The players' only truly royal rival in the Kingmaker Adventure Path is King Irovetti of the neighboring River Kingdom of Pitax, who got his own figure in the Rusty Dragon Inn set a few years back. Never one to fight his own battles if he can avoid it, Irovetti has employed the services of the intimidating, heavily armored Pitax Wardens to do his dirty work for him. The Pitax Warden is a Medium common figure. No ruler worth her salt leaves it up to chance to secure her legacy, and no one is better suited for that task than Linzi, Halfling Bard, this week's featured companion from the Pathfinder: Kingmaker CRPG, out now on Steam and GOG! A Small uncommon figure, Linzi will be sure to offer her unique take on the events in your kingdom, whether you like it or not. But what good is a king without a throne? 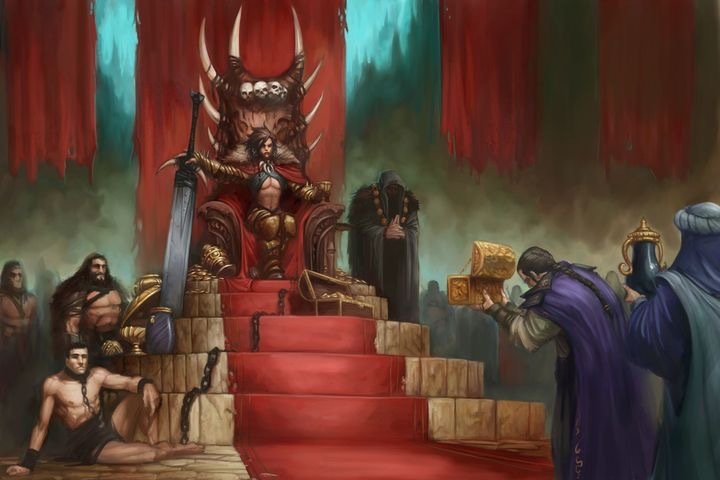 The barbarian throne and raised dais, based on this iconic illustration from the Beyond Kingmaker article back in Pathfinder AP #36, are packaged individually as bonus set dressing, but were intended to work together. The throne fits most Medium figures (at least standing on its seat, but who's going to tell the king he has to sit?) 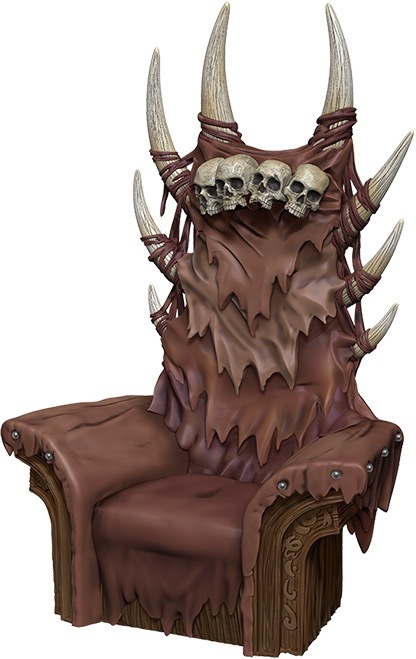 and the dais can sport any number of set dressings at its apex, from the depicted throne to the Book of the Damned or any number of pieces from the Court of the Crimson Throne premium set. The dais has a flat cobblestone surface on the bottom as well, so even if you don't have something you want to put on the red carpeted top side, you can flip it over and have a weird stone table or platform for some ritual or elaborate trap or whatever other inventive encounter you come up with. The Frost Giant Jarl looks amazing! I’m looking forward to the Hill Giant and he the most from this set. Wow, awesome preview. 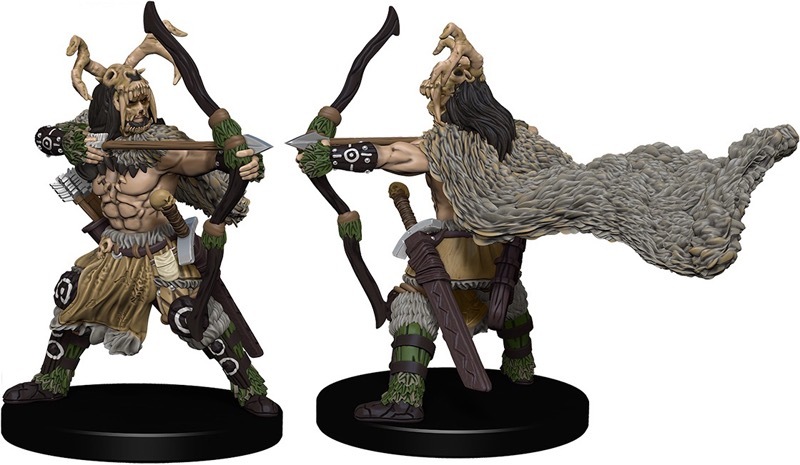 Surprised to see the Stag Lord mini at the uncommon rarity, din’t get me wrong its a great sculpt and i’m very excited to get it, just thought he’d be rare for some reason. The Jarl is incredible. Everything about it cries out awesome. This and the soul gorger are the rares in this set i’m going to try and get several of. 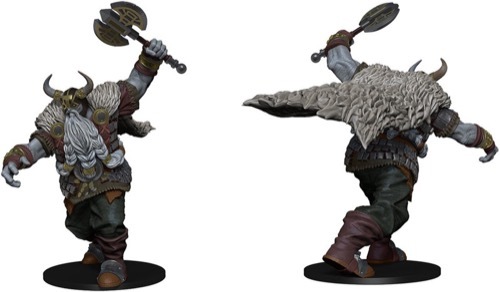 Quick question - is it possible to see this frost giant alongside the previous female one? The Pitax Wardens have a lot of potential. I can see some repaint fodder here, potential for proxy for other things. Nice mini, nice rarity. 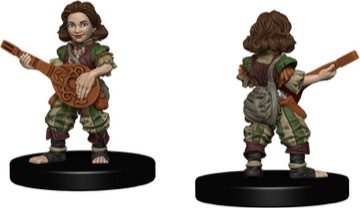 I dont usually get all that excited at NPCs, they often dont translate to the final painted mini well for Wizkids but...this is a bard playing a lute and nice looking. I think this will be the last bard i kind of need but its a good mini. The dressing is great. A throne and dias, very useful as you describe. Great preview Mark. Quick question - what happens to the theoretical distrubutio;with the loss of the ankou? Quick question - what happens to the theoretical distrubution with the loss of the ankou? No idea. That's all handled by WizKids' factory. You'd have to direct that question to them, as it's far beyond where my involvement in the process ends. Last we heard about it from Compton, Linda was working on sanctioning the Kingmaker campaign for pathfinder Society play, and was partway done back in April. Are there any news on when we get to throw our Pathfinders into the Kingmaking business? Thats cool, i kind of figured as much. Any possibility of seeing the frost giants together though? I love the look of that jarl. Actually, a very solid set once again, truth be told. In those images they look like they were painted by pre-schoolers. No Jabborwok or Nyrissa? Minis are very difficult to photograph accurately. I've hand-painted some that look very nice in-hand, but when taking a picture they look like an addled drunken boxer who just lost a bout painted them. Nyrissa is in the set, but for whatever reason isn't previewed on WizKids' gallery. There is no jabberwock in the set, however, because its size meant that we'd only be able to include it in place of one of the elemental case incentives, and we really, really wanted to make sure to get all 4 of them out in two sets instead of spread across three or more. There are only 11 different large creature minis in the set, 4 rares and 7 uncommons. Out of the 32 "large" slots, two are normally taken up by dressing pieces and 4 by the rares, which leaves 26. These will very probably be filled by the 7 uncommons, giving you 4 each of five different models and 3 each of the remaining two. I can't imagine they will double on the large dressings (like the dais) & two of the medium or small dressings are already being twice in a case. So you will probably get 4 more large uncommons more than usual in a case. The Jabberwok is not in the set. 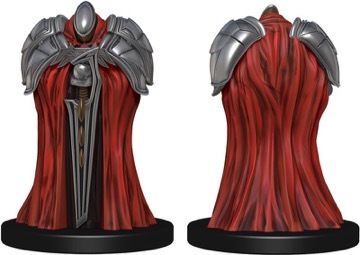 There is an exclusive large sized one for the computer game kickstarters and a huge unpainted one in both the Reaper Bones & Reaper Metal lines, if you want one. Mark, why did you show us only 6 renders? There were 23 renders missing (when excluding the Ankou) & this set will be in stores in exactly 14 days. We still havn't seen 17 minis renders, but 15 of those have already been shown as actual minis pictures on the Wizkids homepage, only two dressing pieces are missing. We will probably see pictures of all the actual minis at the end of the next week from online sellers. I hope that the blog will return to it's old relevance when the previews for Kingmaker are over and show things like the unpainted Pathfinder minis, Starfinder prepainted packs & january's Playtest Heroes. Blogs are planned far in advance, and are broken up into similarly sized chunks both in terms of text and image count so as not to overwhelm readers, authors, and the web team who needs to format and upload those blogs. In the case of minis blogs, I plan them out based on common themes before I ever write the first one. The site's extended downtime last month threw the schedule off, and I was out of the office for two weeks on a much needed vacation the second half of the month and thus couldn't switch gears to churn out more previews faster than anticipated. We're still on schedule to have all minis previewed on the blog before release day (assuming the web team can squeeze a few of the late blogs in on other days of the week, which I've been told they can do). As I mentioned in the subscription thread in the CS forum, going forward, I will plan to have sets previewed before subscriber orders are generated, not when the sets are released globally. But I can't magically go back in time and preview this set before the end of September. If you need to see the remaining figures, WizKids has posted most of them on their product page here. Additionally, there is one fewer piece of dungeon dressing this time around, so all of them will have been previewed by the time the next blog (already written and submitted) goes live. The sixth piece of dressing had to be cut along with the ankou. Thanks for your understand and flexibility. All large minis but the Swamp Naga (medium on a large base) have a good size. The Troll Leader is both the tallest and the most massive mini. The Frost Giant Jarl is almost as tall and massive, but it's axe is bendy. The Hill Giant Champion has a very stupid looking face. Seven large minis look great, four have issues. It's unfortunate that the Ankou & a dressing piece had to be cut, but i know that it was Wizkids decision, not Paizo's. Was there also a certain dressing piece already selected? Do you know if the Ankou is relegated to april 2019's "Ruins of Lastwall" set or a later one? Thank you and i hope you had a great vacation. I don’t mind waiting for the Jabberwock, as it will be a centerpiece item if done well. Mark, with no ankou and an unknown piece of dressing also excluded, how does this affect the total number of minis (both in terms of diversity and also minis per case)? 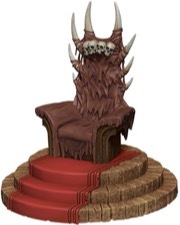 The product page on Paizo.com still lists Kingmaker as a "44-figure set" and I want to be able to tell the folks who buy-in for sealed case drafts that I organize the most accurate information. Additionally, there is one fewer piece of dungeon dressing this time around, so all of them will have been previewed by the time the next blog (already written and submitted) goes live. Also, do you happen to know when that blog might be posted? In the past we've always looked to Fridays, but with this set that has clearly shifted a bit. There are 48 different minis in a case, 43 creatures & 5 dressing pieces (of which the gargoyle & scarecrow can be used as creatures too). The huge elementals will be numbered #44 & #45, the 5 dressings are unnumbered. Each booster will have 4 minis, 32 boosters are in a case, for 128 minis total, that won't change. The only thing unrevealed is the fifth dungeon dressing. With 16 renders not shown yet, i expect them to be shown in 2 blogs with 8 renders each. If they are to be shown before subscribers get their case next wednesday, that leaves friday, monday & tuesday. Regardless of when the next blog goes up, there are two left after that. They'll all be up before the street date, even if the last one comes out after subscribers get their cases early. Again, we'll aim to wrap up the entire reveal process much sooner for the next set. Mark and Marco - thank you both for all of your posts on this (and previous) Pathfinder Battles sets! You both make things so much smoother for me when trying to coordinate our local "draft" parties (which is not your job) and so I wanted to say thanks on behalf of everyone here who has loved getting these ever since the Rise of the Runelords set! I wouldnt worry Mark, i enjoy reading the blog as much as enjoy the pictures of the minis. Perhaps we can get some pics of the actual minis? Unfortunately my mobile isn't letting me watch this at the moment -"a problem has arised, try again later", but it is functioning. There are only seven different large uncommon minis in the set. The rarity of the ONI MAGE & AHUIZOTL got switched (which is great)! The opened case seemed to have only 2 Large Spriggans & 2 Swamp Nagas, but at least 3 Troll Leaders, 3 Smilodons, 4 Manticores & 5 Hill Giants. There were 2 each of the Gargoyle statue, Scarecrow and Hedge, 1 each of the Barbarian Throne and Raised Dais. Marco, you are amazing! Thank you for posting this! I am also super stoked that there will be more Oni mages! That was one of my favorites going-in! From the video, the only ones I wasn't immediately in love with were the army ant swarm, the naga, Armag, the ahuizotl, and maybe the monitor lizard as well. Super stoked to get these in less than two weeks! Getting pics of the individual minis to go up on their respective product pages is on the agenda for next week, I believe. My blogs are all set to show renders, however, as those are the only images I had at the time the blogs were written and submitted for posting.